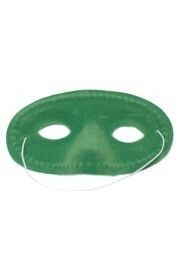 Green Velvet Half Face Mask With Elastic Strings. It Measures 6.5 inches x 3.5 inches. 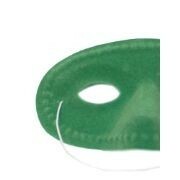 A green velvet half face mask. 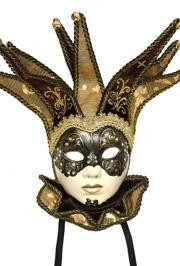 This mask has elastic strings and measures 6.5 inches x 3.5 inches. 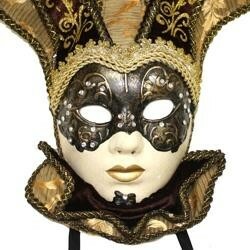 It is good for party favors and masquerades.